It is advisable for a person to make a new Last Will and Testament after a major life event, such as marriage, divorce or the birth of a child. While your written will remains valid in North Carolina even if it is made before any of these events take place, those events may affect how the will is interpreted and enforced. Any person over the age of 18 who is “of sound mind” may sign a written will in the presence of at least two witnesses. Thereafter, the will can only be amended or revoked by a subsequent written will, codicil (amendment), or, in the case of revocation, by physically destroying the will with the intent of revoking it. Neither marriage or divorce nor the birth or adoption of a child revokes a will. Marriage does alter a will to the extent that North Carolina law provides an “elective share” of a deceased person’s estate to his or her spouse. The amount of the share will vary depending upon the length of the marriage and it is guaranteed to the spouse regardless of what the will might say. The elective share requirement exists expressly to prevent a person from leaving his or her spouse destitute. Similarly, while divorce (or marriage annulment) does not revoke a will, it does invalidate any specific provision “in favor of” the former spouse. This includes any provision granting any “general or special power of appointment” to the former spouse, such naming him or her executor of the will. If the former spouses remarry, however, these revoked provisions can come back into force. As for any children born or adopted after a will is signed, North Carolina law directs they have a right to inherit the same share of the parent’s estate they would be entitled to as if there was no will. This provision does not apply, however, if the parent subsequently makes some other provision for the child in the will, the will leaves the entire estate to the surviving spouse, or it’s apparent from the terms of the will that the child was intentionally excluded. Angela McIlveen is the CEO and Co-Founder of the McIlveen Family Law Firm. 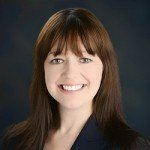 As a Partner Attorney at the McIlveen Law Firm, Angela McIlveen handles cases in family law including child custody and support, divorce, alimony, adoption, separation, domestic violence, and equitable distribution. Angela McIlveen is often called upon to teach CLE classes to other attorney and to speak at events.